During the fall and winter, it is important to protect your horse from the elements while still allowing breathability. Our winter blankets offer solid protection from cold and rain, and are sturdily made for maximum durability and minimum weight. 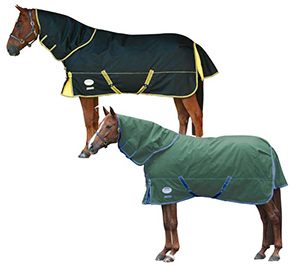 All of our winter blankets are fully washable, and are designed for turnout, trailering, or universal use.